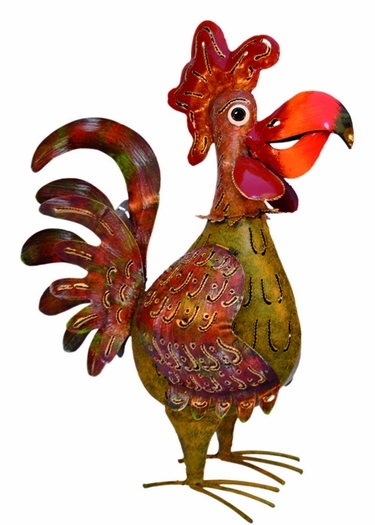 Home > Collector Items > 18" Bali Rooster Bird - "Green Rocky"
18" Bali Rooster Bird - "Green Rocky"
Green Rocky is an all-star Rooster and a fighting Champ in our Bali Garden Decor collection. Standing 18 inches tall this beautiful Indonesian garden art will certainly impress and inspire. Ultra unique and amazing is the only way to describe this spectacular Bali Garden Bird!